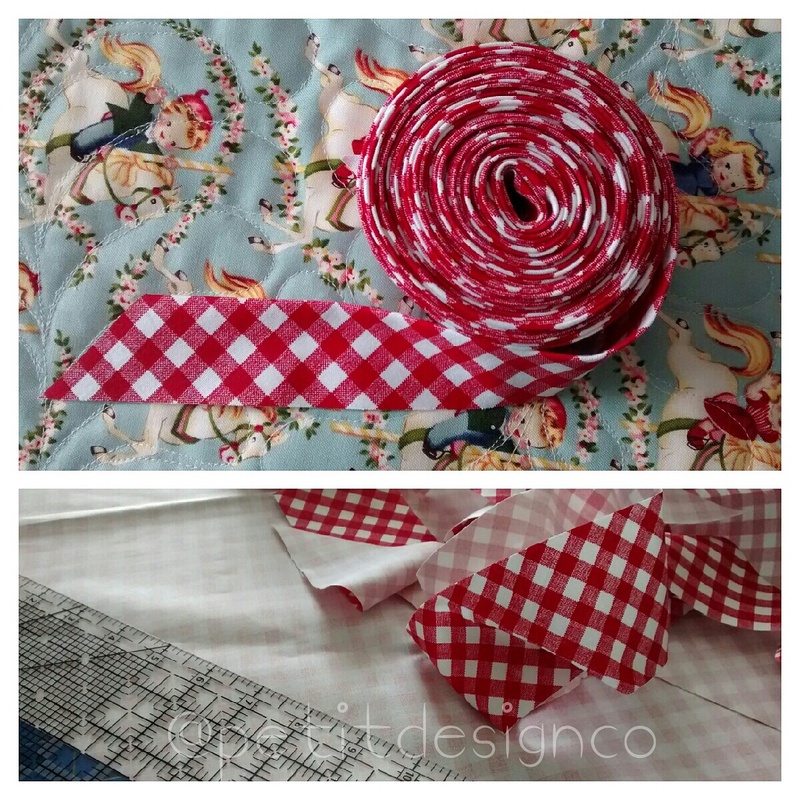 Is there anything cuter than gingham binding? Except maybe bias gingham binding! I made this binding for the quilt I quilted up a few days ago. 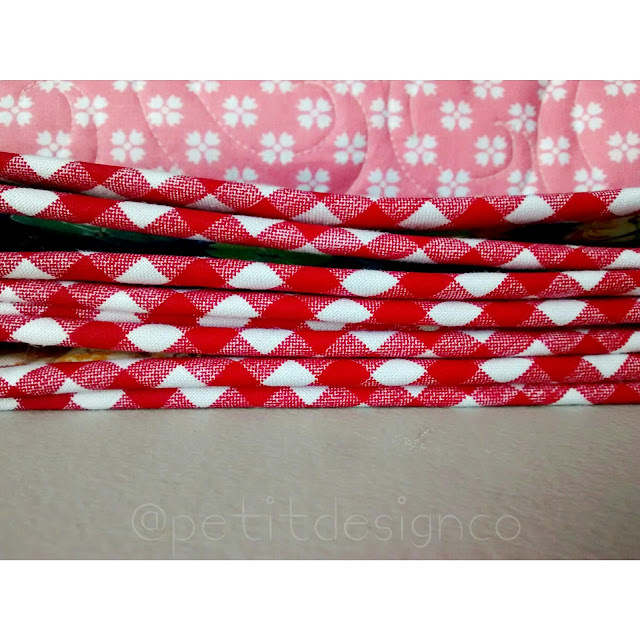 You can see a peek of the lovely fabric I used for the backing. It is a fabric I bought on a whim years ago because I thought it was adorable and vintage looking. I don't remember where I bought it and there was no information on the selvages. It took me longer to make the bias binding than it did to apply it to the quilt. I love adding my binding by machine. The method I use can be found here. What's your favorite method for applying binding? This binding is just fantastic! Thanks for sharing!